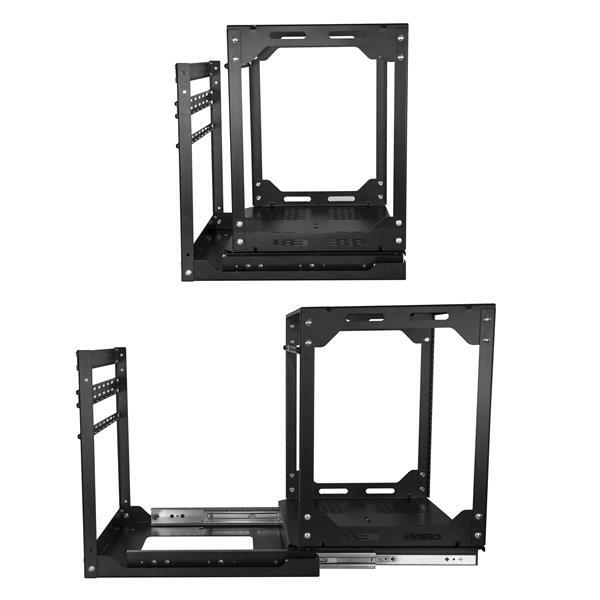 This 12U slide-out server rack helps you save space while keeping your rack-mount equipment organized and accessible. 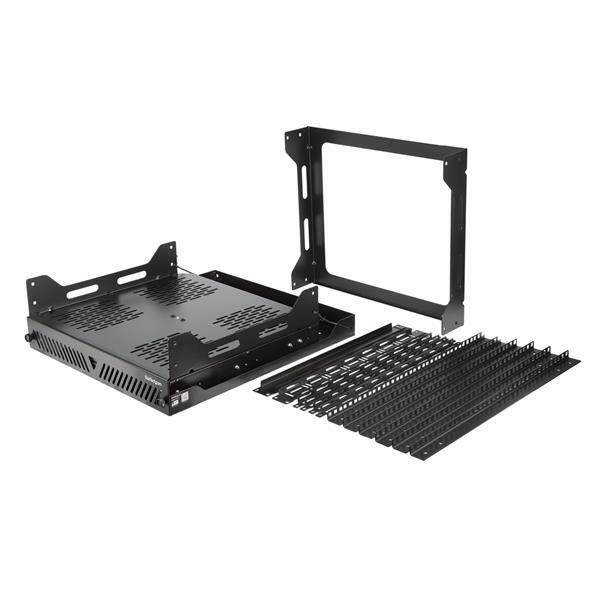 The compact open-frame rack is easy to pull out and rotate, which makes it easy to install and access your equipment or perform maintenance when needed. The rack supports a total load capacity of 125 lb. (56.7 kg). The rack helps you save valuable floor space. 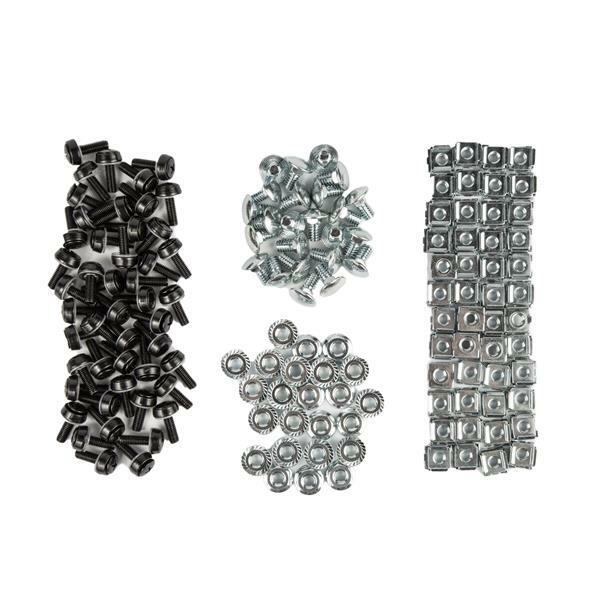 It’s designed for installation in small areas such as below a table or in a cabinet or cupboard. Its versatility makes this the perfect rack for storing your servers in a boardroom, small office/home office, restaurant or any place where space is at a premium. For easy equipment installation and maintenance, the 12U server rack’s base is on sliding rails, which means it’s easier to access the back of your equipment. 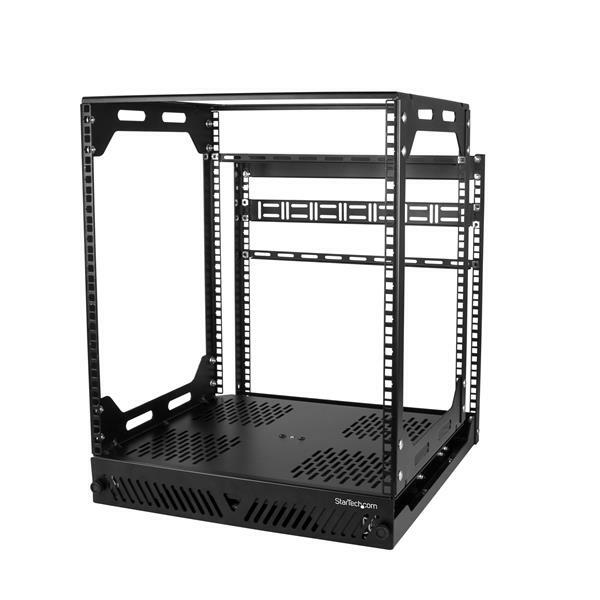 With its open-frame design, the rack not only maximizes accessibility but also offers unobstructed airflow to your equipment, providing passive cooling to keep your rack-mounted equipment running at optimal temperatures. 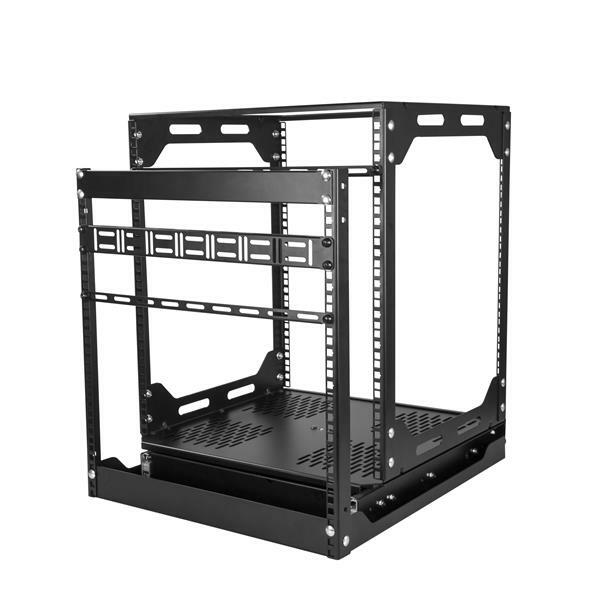 The rack comes in a flat-packed box, which reduces shipping volume and significantly lowers cost when compared to racks that ship fully assembled. Plus, because the rack is packaged efficiently, it’s easy to transport and store. The PORACK12U is backed by a StarTech.com 2-year warranty and free lifetime technical support.